Attention of AD Category-I banks is invited to A.P. (DIR Series) Circular No.94 dated April 1, 2013 read with A.P. (DIR Series) Circular No.111 dated June 12, 2013 and A.P. (DIR Series) Circular No.112 dated March 25, 2014, in terms of which the present limit for investment in Government Securities by SEBI registered FIIs, QFIs, long term investors and FPIs registered in accordance with SEBI guidelines stands at USD 30 billion. Out of the above limit, a sub-limit of USD 5.5 billion is available for investment in Treasury Bills (T-bills). Further, in terms of A.P. (DIR Series) Circular No.99 dated January 29, 2014, a sub-limit of USD 10 billion for investment in Government dated securities within the total limit of USD 30 billion is available to long term investors registered with SEBI – viz. Sovereign Wealth Funds (SWFs), Multilateral Agencies, Pension/ Insurance/ Endowment Funds and foreign Central Banks. 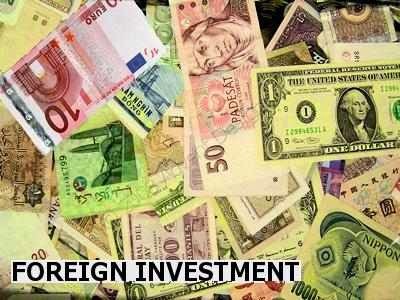 On a review, to encourage longer term flows, it has now been decided that foreign investment by all eligible investors including RFPIs shall henceforth be permitted only in Government dated securities having residual maturity of one year and above and existing investments in T-bills and Government dated securities of less than one year residual maturity shall be allowed to taper off on maturity/ sale. Necessary operational guidelines in this regard will be issued by SEBI. All other existing conditions for investment in Government securities remain unchanged.